So what is your results number for booktubeathon? Do you belong to the spectacular seven of reading gods/goddess, who managed to read through seven books? Or are you just like the rest of our mere mortals, setting lower goals in the hopes of not disappointing yourself or inducing anxiety? So I will give myself a moment (or several) to be proud of myself for this achievement. Read-a-thon’s are definitely not for the faint of heart. And definitely not for people who struggle mentally like me. Of course, I’m not saying that if you have a mental disorder you can’t participate in a read-a-thon, many of us do I am sure! I’m just saying that for me personally, it is a bit of a struggle at times. I fidget, I have difficulty focusing, and depression hits me like a ton of bricks. So yeah, the odds are rarely ever in my favor when it comes to read-a-thons. Luckily, the mental health gods were benevolent on me this time, and I was able to complete some challenges. In keeping up with my initial theme of mental health, it is important to note that my way of conducting this wrap up through my bullet journal was meant to get me back into the journal scene. I recently got a new one and thought: new journal, new opportunities. Opportunities both for me to explore creativity in my journal and to share them here on this blog. So below you will find some mediocre photos taken with my iPhone 6 (I think…honestly I can’t keep track) of my latest book summary spreads. I also figured I could continue with this format for all the books I read this year, not just the ones from this read-a-thon. The Sunday before booktubeathon, I sketched out and (poorly) colored this page. It was a summary of all the titles I planned to read for booktubeathon. In retrospect, I wish I had indicated what challenge they were for, but I guess my brain was feeling more “artsy,” than “let’s just organize this,” that day. Anyway, enjoy the crudeness of this page! I included a very rough shooting star emoji to indicate the number of stars I gave each read. Then I included the challenge each book was for along with the dates during the read-a-thon I read them. And then of course, I wrote a favorite quote or two and my overall thoughts on the read. This was a fun way for me to write out my thoughts by using a different part of my brain for that. I also got to experiment with different kinds of typography and use some of my new markers and pens. 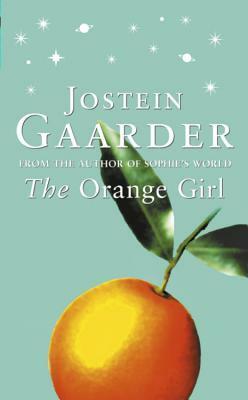 The Orange Girl was a delightful and touching read that warmed my heart and soul. As you can see I gave it 5 shooting stars and high praise. Reading this book first for booktubeathon was helpful due to its relatively short length. I finished it in one day and felt motivated to forge ahead at full speed and onto my next book. And then came this shooting star of a read! I knew that The Seven Husbands of Evelyn Hugo must be special due to the high praise it received on bookstagram. So of course, I bought it and told myself I would one day read it. But when there was a challenge that asked for a book with green on the cover, how could you not choose one with a sweeping silk green gown across the front? I expected to like this one, but I didn’t expect to love it like I did. It is full of so many relevant themes and feelings that so many people today can relate to. I think everyone who loves women (platonically or romantically or somewhere in between) needs to read this one! This one was a bit of a struggle. I think I summed up my feelings pretty sufficiently in my journal page for Big Little Lies. I kept loving & hating both the novel and the show. I think the novel’s ending was more hopeful and made one feel better about the characters intentions, whereas the show ending…I honestly don’t remember much about it. I know there is a second season planned, but I doubt very much I will take the time to watch it. So what do you all think of tracking your reads in this way? Does anyone else keep a journal and a blog? Or do you tend to gravitate towards one or the other? How do you organize your reads? Tell me all your reading tracking/organizing secrets!